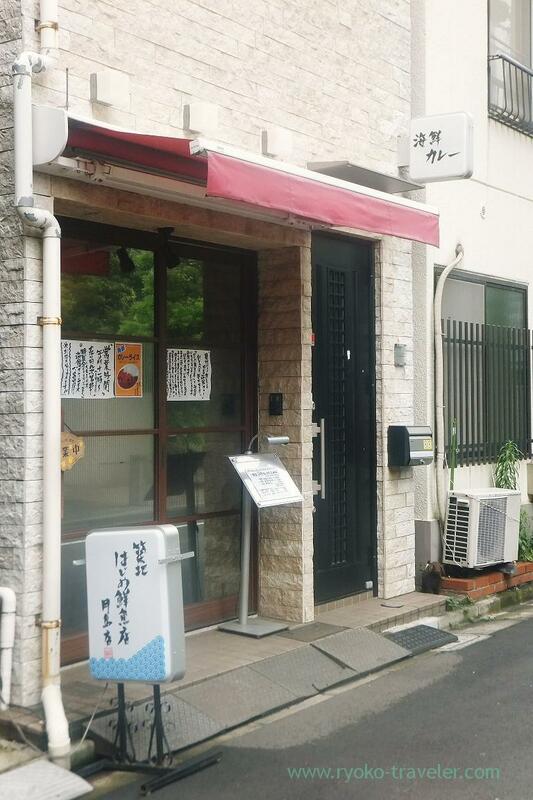 (Notice) This Tsukishima branch of Hajime Sengyo-ten already closed. Tsukiji head shop is still on business. If you want to eat their seafood curry, please visit there on Fridays lunchtime. Tsukishima branch of Hajime sengyo-ten is located very close to Tsukishima station. If you are out from Gate 6 of Tsukishima station, you’ll get to there soon. But take care. There’s a large intersection. You need to get out from Gate 6 or 4. Or it takes much time to across the intersection. There’s signs at the some corners to the shop. It is helpful for stranger around here. 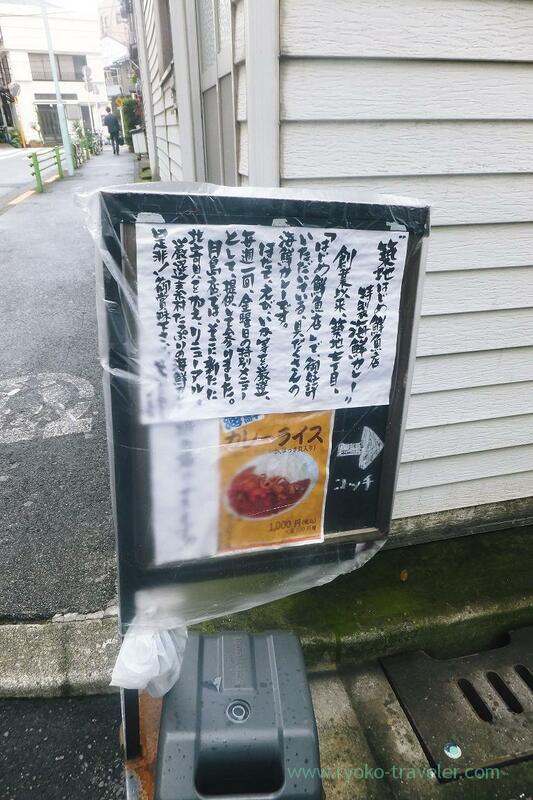 This Tsukishima branch now serve seafood curry and rice only. We can eat seafood curry and rice that is Friday’s special of Tsukiji head shop at this Tsukishima branch every day. Tsukiji head shop serve seafood curry and rice for 800 yen. So we have to pay more at Tsukishima branch. 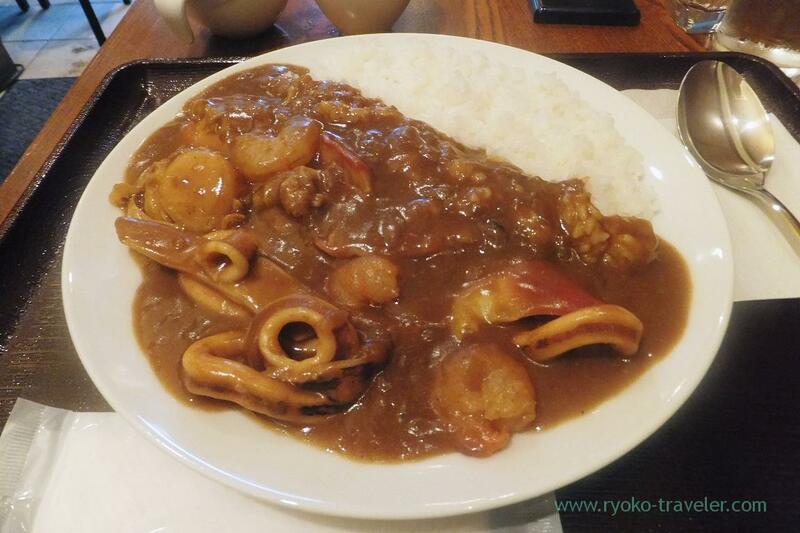 But Tsukishima branch’s curry and rice have more seafood in those quality and quantity. 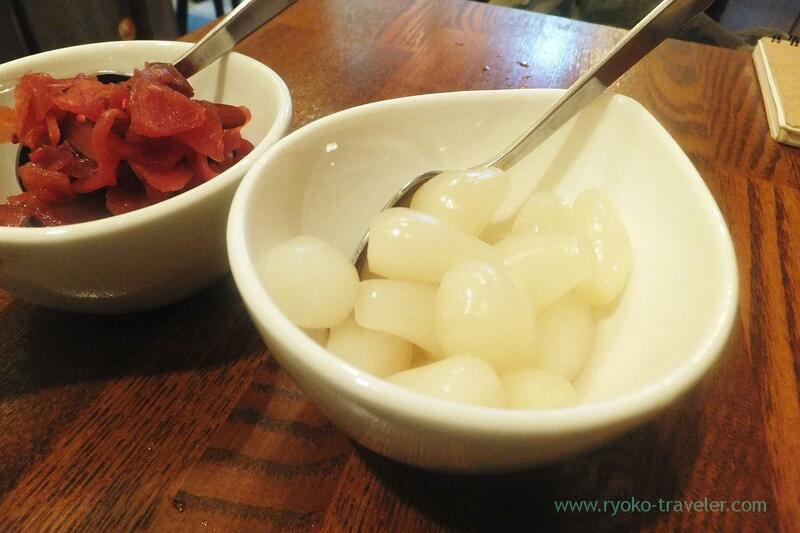 Scallop, squid, shrimp, surf clam and so on. Though those were tasty, the curry didn’t have much taste of seafood. And it was more spicy than Tsukiji head shop. So this Hajime Sengyo-ten’s one is reasonable. Open / 11 a.m. – 7 p.m.